How much travel is too much travel? Is there such a thing? Surely it’s always better to have more travel than you need, not less, right? Those are all very good questions, and depending on where you live, where you ride, and most importantly, how you ride, the answer can be completely different. 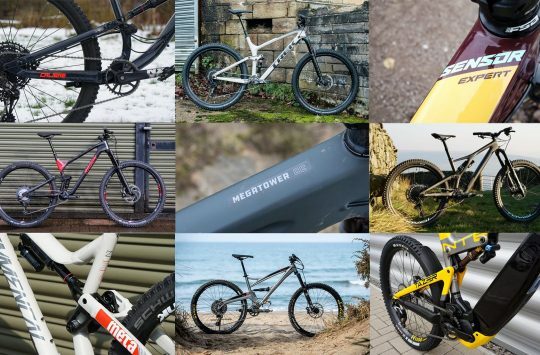 According to our most recent poll on the subject, the most popular type of mountain bike amongst Singletrack readers is the 140-160mm travel full suspension bracket. Though do all of us need such a big bike? Well, that’s ultimately up to you to decide. But from what we can decipher, there are really two main perspectives on the topic. One is that you’re better off having more travel than you need, so when push comes to shove, you’ve got a bit of extra insurance to back you up when you’ve bitten off a little too much goodness. The other perspective is that all that extra travel, wheelbase length and weight can make the bike heavy and boring to ride for the other 95% of the time. 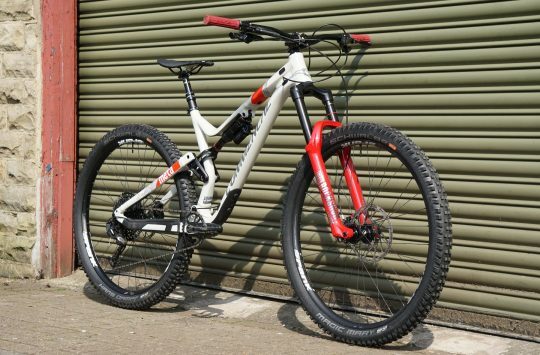 Suiting that latter perspective, Orange has created the Stage 4; a full suspension 29er that shares similar suspension travel to much lighter XC and marathon race bikes, but features a burly alloy frame, chunky 2.3in wide tyres and a cockpit that’s borrowed from its longer travel Stage 5/6 models. 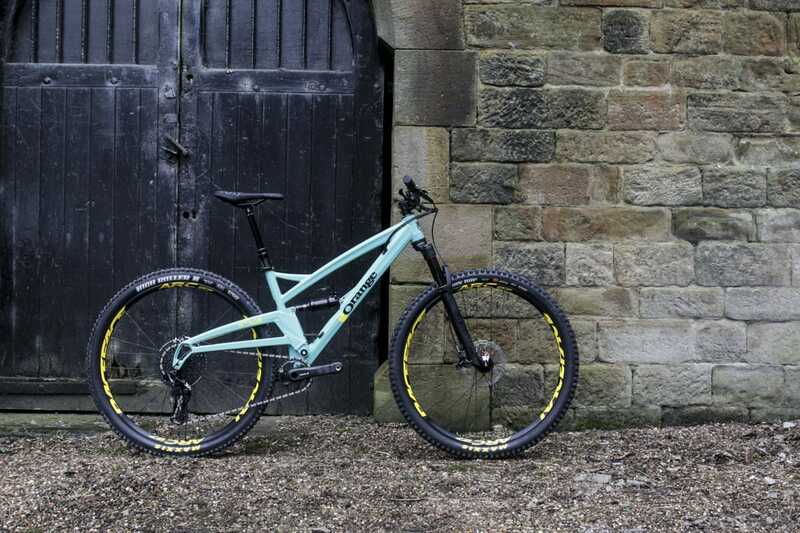 The result is what Orange believes is a tighter, lighter, and more involving bike to ride that’s still capable of tackling steep and gnarly stuff, while being more sprightly for the everyday stuff. It’s an interesting theory, and one that we’re sure plenty of people will have their own opinions on. 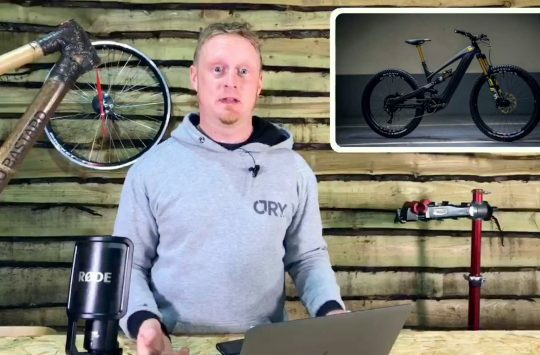 To get Orange Bikes’ take on it, we chatted with Kelvin from Orange during the 2018 London Bike Show to find out a little more about the development on the Stage 4, and why this might be a more suitable trail bike for more riders, compared to the bigger Stage 5 and Stage 6. Do you reckon Kelvin has a point? Or are you all about riding with as much travel as possible? We’d love to hear your opinion in the comments section below! The latest test bike to show up at Singletrack Towers; the Orange Stage 4. For more information on the Stage 4, check out our detailed first look story, or head to the Orange Bikes website.